Learning how to homestead often means taking time to research and studying various options available on the property. The goal of homesteading may be different from person to person. Some might prefer to live off the grid or at least be out in the country and away from a busy city. There also are others who will want to use their property to be self sufficient. Whatever your situation, you might find it worth your while to familiarize yourself with some of the top homesteading blogs. The topics that are covered on homesteading blogs often depends on the information provided. Some are based on the techniques that could be used and the results that can be obtained. People will look online for answers to their questions and options to consider. Many homesteading blogs often cover a range of useful information for anyone who is interested in homesteading. Some homesteading blogs you can find online will offer advice about raising animals to growing food in a garden. You may also find information to build various structures for performing many types of activities around your property. This includes building a fence, a chicken coop, and even a station to milk cows. A large homestead can have a few cows as a source of milk and meat. You can also find details for the best way to use manure as fertilizer. If you are raising chickens, then you may find ways to save money on feed and even to find the best types of chickens. 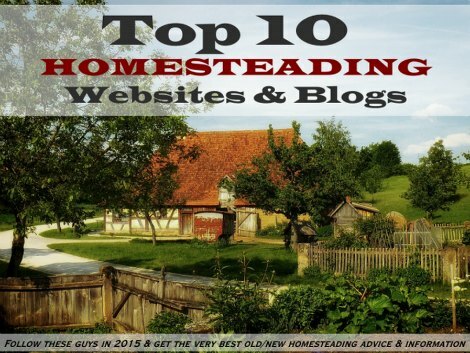 Homesteading blogs you find will have a lot useful information about an assortment of topics. People who do not have a large amount of land can also homestead. This will include having animals as a source of food. A small property might be perfect for chickens if you want fresh eggs. Most homesteading blogs will also provide information to grow your own herbs and vegetables for food or a herbal remedy.